Do you ever wonder what your Rootdown farmers do every day? Well, you probably have some idea, in the sense that we grow vegetables and bring them to you either at market, in the CSA, at local stores and restaurants, but what exactly occupies us for hours every day? Well, for certain, it changes with the seasons. 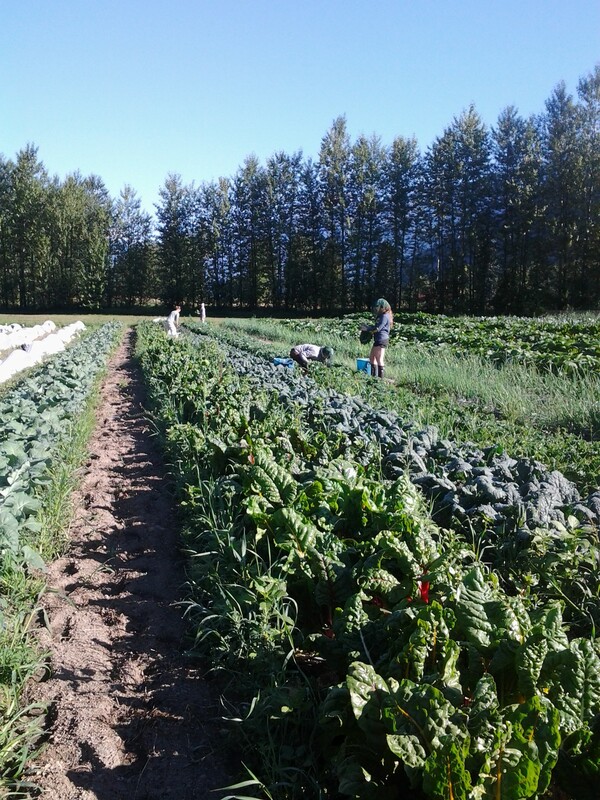 But at this time of year – mid-July, full high season – our days have established themselves in a solid rhythm of harvesting, processing, packing, and, when we have time left over, weeding. Some of our crops are very heat sensitive, and need to be harvested early in the morning, preferably before the sun dries the dew, so those are always our priorities. These same crops also don’t store as well in the cooler, so they must be done as close to the time of delivery as possible. These sensitive crops are the leafy greens, including our salad greens, kale, collards, lettuce heads, and chard. We harvest these from the field first thing in the morning, get them into the shade of our processing area, cool them down with water, and store them in the cooler as quickly as possible. Some of these crops, such as lettuce heads, and others like radishes and spinach, do less well in the heat, and radishes and spinach are finished for the season, and lettuce will be struggling in the heat! 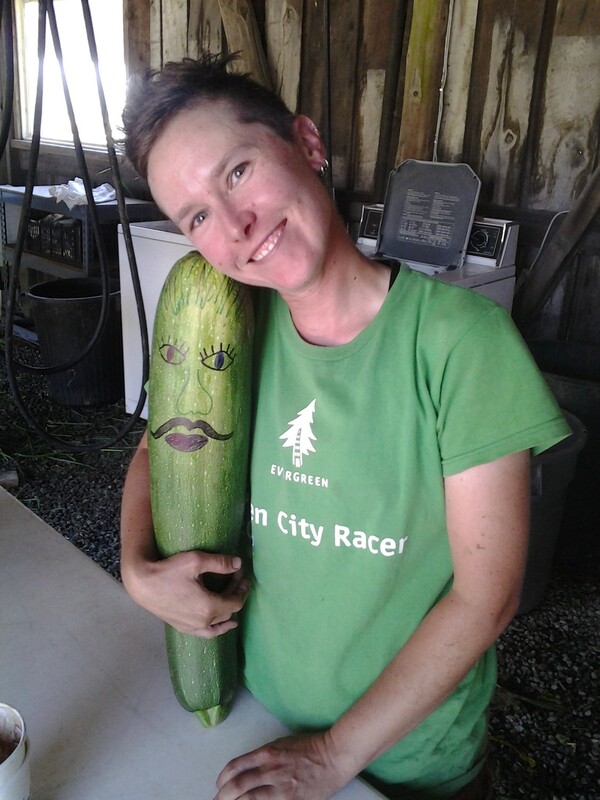 If left unsupervised, zucchinis can grow to enormous sizes! There are a few crops that grow very quickly in this weather, and need to be harvested every couple of days. With crops like zucchini and cucumbers, especially field cucumbers (a.k.a. pickling or snacking cukes), if we aren’t on top of collecting them, they can easily get oversized. And even with our frequent harvesting, a few will inevitably get overlooked in the jungle of the large, leafy plants, and we come across some giants with regularity. While the hot weather and sunshine is great for most of our crops, it is also good for the weeds, and if we don’t keep on top of them, weeds can easily overwhelm our pathways and rows. 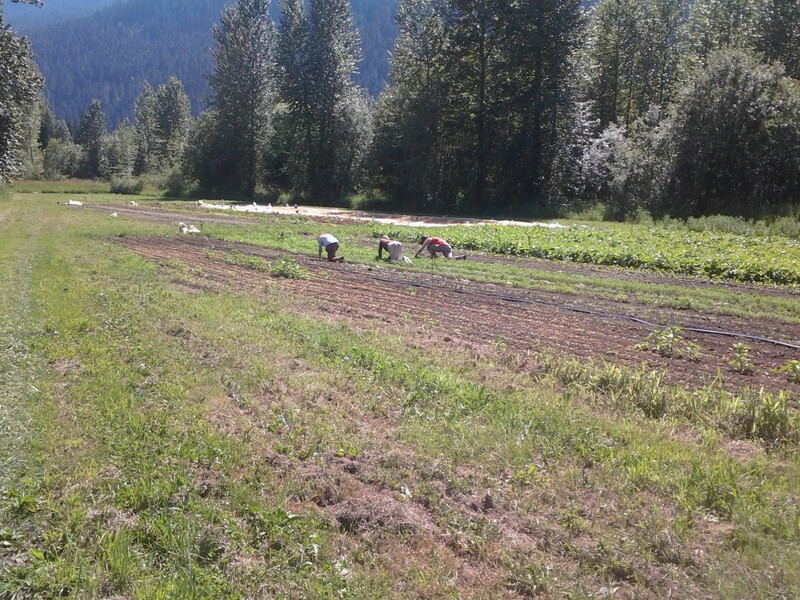 Weeds also take nutrients and water away from our crops, and so we try to keep on top of removing them, especially from slower growing crops like beets and carrots. With the extreme heat of mid-July (37-39 degrees Celsius this week! ), we the farmers, like the lettuce and spinach, can also struggle with the heat. We combat it by starting earlier, keeping coolers of cold water with us in the fields, and occasionally ending the days with a bit of ice cream. Weeding is good, old-fashioned manual labour.